Political and economic models of society often operate at a level of abstraction so high that the connections between them, and their links to culture, are beyond reach. 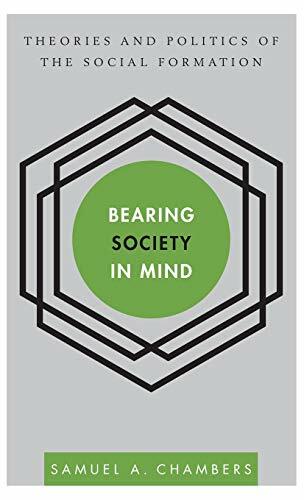 'Bearing Society in Mind' challenges these disciplinary boundaries and proposes an alternative framework - the social formation. The theory of social formation demonstrates how the fabric of society is made up of threads that are simultaneously economic, political and cultural. Drawing on the work of theorists including Marx, Althusser, Butler, Zizek and Ranciere, 'Bearing Society in Mind' makes the strongest case possible for the theoretical importance and political necessity of this concept. It simultaneously demonstrates that the social formation proves to be a very particular and peculiar type of "concept" - it is not a reflection or model of the world, but is definitively and concretely bound up with and constitutive of the world.